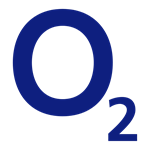 Surf online for free on O2 Wifi in thousands of locations nationwide. It's up to 10 times faster than a normal mobile connection, there's no need to eat into your mobile data. Once you're signed up, that?s it! You'll connect automatically whenever you're near one of our hotspots. Check website for details. It's exclusive to O2 customers and brings you great offers from high street brands, tickets and experiences, as well as access to the best in entertainment. Prices last updated: 25/4 6:04 AM.